Latest installation of WordPress (Version 4.1.1) has a file structure not much different from previous versions. 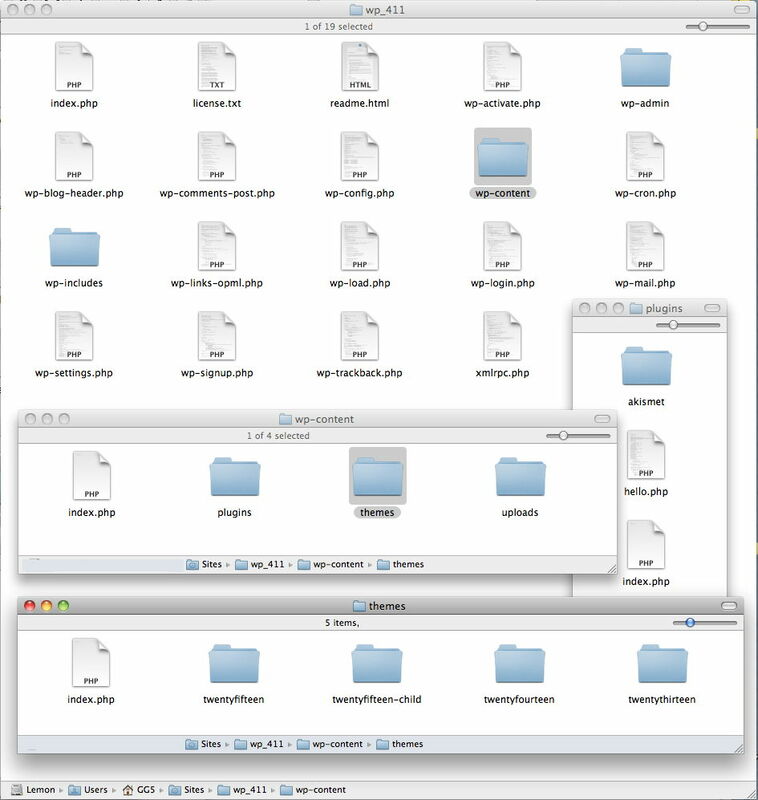 This is what you will see after unpacking the zip file. Three themes are included, with twentyfifteen being activated as default. I later added another theme, twentyfifteen-child, for experimentation, and then twentyeleven and twentytwelve for comparison purposes. Two plugins are included. Akismet does an excellent job of diverting spam, and hello.php is a simple demo plugin. Several blank index.php files are used to prevent some servers from displaying the directory contents.